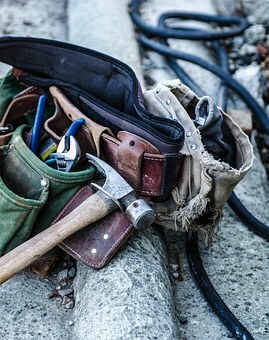 Juan Rodriguez writes for The Balance – about how to identify a reliable subcontractor in construction. “In many situations, a subcontractor is a right way to go because there are certain areas that a contractor needs an expert in certain trades. A construction business or general contractor is dedicated to managing the overall activities and performance between subcontractors. Companies have different methods of evaluating and shortlisting subcontractors depending on past performances, financials and other important factors. The following article presents some ideas on performance indicators that will facilitate choosing the right subcontractor for your construction project. Once determined that it is suitable for your organization, let’s then move on to qualifying the right subcontractor. A subcontractor must bring their own equipment and tools, so be clear to specify that in your RFQ and review the subcontractor proposal to make sure those tools are included. The equipment described in the proposal must meet your demands and also include a maintenance repair plan. Please note that all maintenance, lube and fueling cost must be part of the subcontractor responsibilities. Transportation permits and costs are subcontractor’s items so they should be taking care of those items. Another good article from The Balance – Is Direct Hiring the Right Solution for the Construction Industry? “Subcontracting vs. Direct Hiring? Sometimes you will wonder when does it make sense to hire an employee or to subcontract it out. Many models in the construction industry suggest that subcontracting can be easier and faster than direct hiring, but every situation must be carefully analyzed and assessed before making a decision. Subcontracting can offer you some warranties and hiring someone directly will require additional efforts from you, not to mention the costs and burden associated with it. But what is the best decision? Well, we cannot answer that simple question without analyzing further in details the description and kind of job that you are trying to complete. When Is a Subcontractor Needed? Misrepresentation of a contract can lead to severe fines by IRS. There are some cases when you need to hire someone directly for a construction job and create your own staff to handle projects. Usually, routine ‘simple’ construction jobs are the ones assigned to directly hired employees. Direct hiring method for construction jobs will give you assets, the most important ones; your workforce. If you decide to hire someone permanently, you must consider for how long does the employee will be needed and the benefits that you will get when hiring someone.